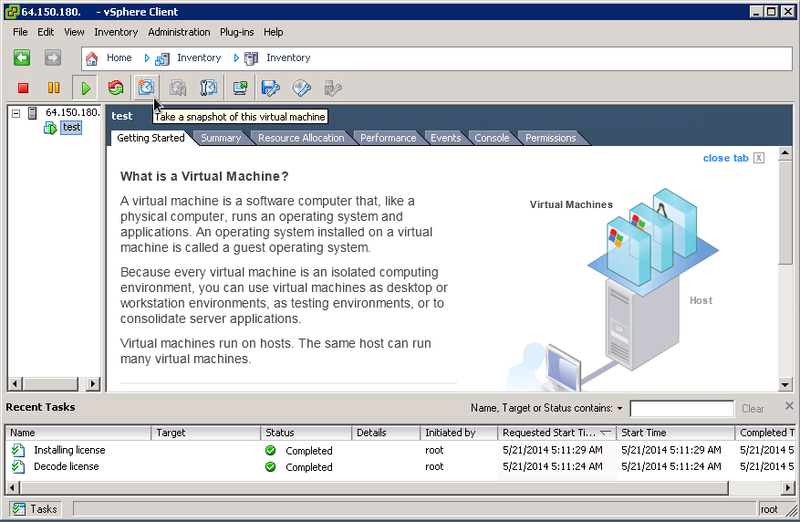 Log into ESXi using the VMware vSphere Client software. 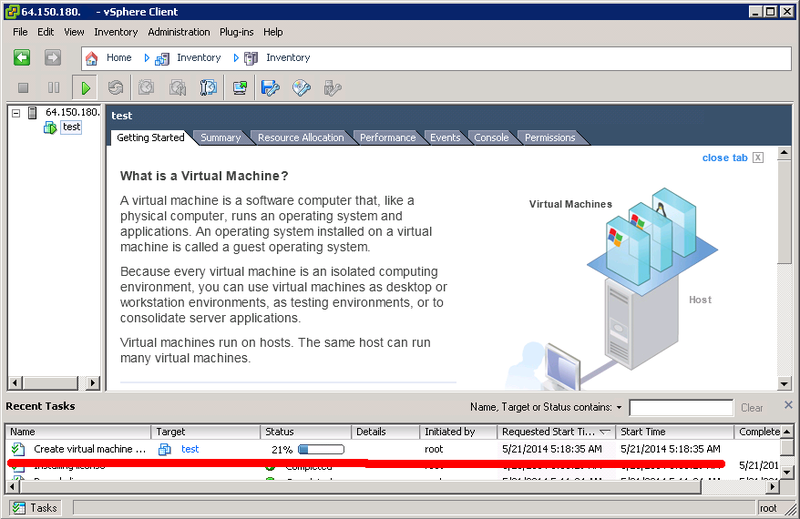 In the left column, expand Host server to view the virtual machines you have created; click on the virtual machine you with to create the snapshot for, then click the “take a snapshot” icon. In the pop-up window, enter the name and a description for the snapshot. Name: The name should be brief and unique. This will be used to identify the snapshot when you need to restore from it. 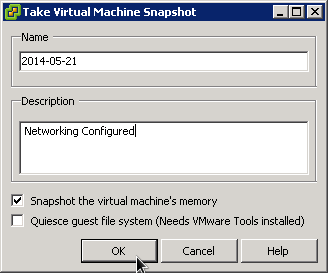 Description: The description should be accurate enough to describe the current state of the virtual machine.